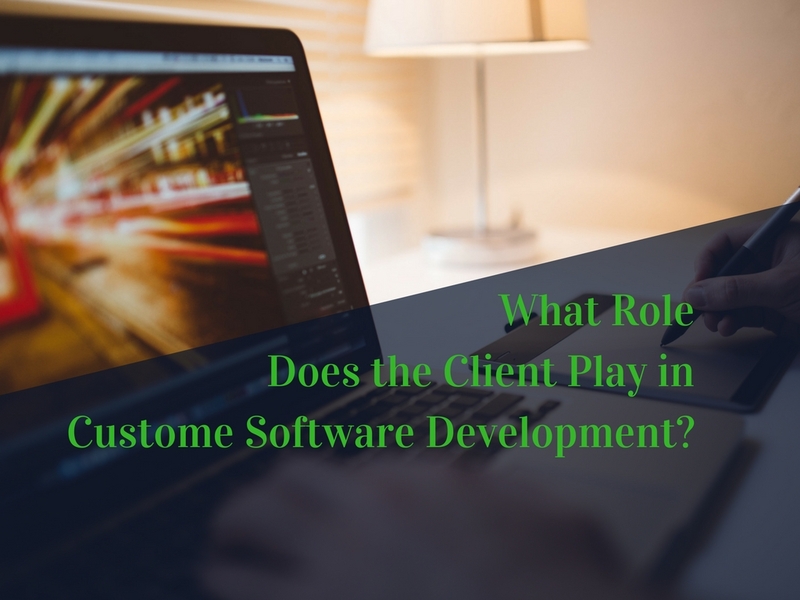 What Role Does the Client Play in Custom Software Development? In a perfect world, an entrepreneur or executive could think of an idea for a new software application, send a few notes to a talented programming team, and get a finished product they could use in just a few weeks. That would be great, but it isn’t the world we live in. Instead, software developers and their clients need to be in continual contact, asking and answering questions on an ongoing basis until the project has been completed perfectly. When clients simply want to write a check and “have the job finished,” there are inevitable setbacks and delays that pop up along the way. It goes without saying, but we need our clients to tell us what kinds of software packages they want to see built. The more specific your idea and inspiration is, the easier it will be for us to turn that vision into a reality. We can certainly help you to flush out your thoughts and make them more concrete, but it’s a good idea to get together with some members of your team – and even a few of your customers or vendors, if they’ll be affected – to think about the different ways you can use software to improve your business. Then, we can help you put all of those needs or concepts together in a way that works. Many new clients are very excited about the process of brainstorming new applications, but aren’t as enthusiastic (or prompt) when it comes to providing feedback. That can leave a software development team guessing about the best direction to take when moving forward. Because it’s ultimately your money (and your business) that’s on the line, you should be as detailed and thorough as you can when reviewing design layouts, feature lists, and beta versions of your software. The more you have to say during the development process, the fewer revisions and delays you will have left to deal with when you get closer to the release of your software. Developing a new piece of software is a little bit like writing a novel. You don’t always know what twists and turns are going to be waiting for you until they arrive. When it comes to making tough decisions that involve deadlines, budgets, or core features, it’s your job as the client to decide what best fits the vision you have in your mind. Additionally, it helps if you can stay consistent with regards to your needs, so your development team isn’t chasing a target that is constantly moving. Have an idea for a piece of software that could make a huge impact in your business or industry? Or, do you just want to find out how a strong programming team can help you to cut costs and solve problems? In either case, your next step is clear – contact the WebRevelation team in Oklahoma City today to learn more about our work and see how we can help. Your initial consultation is free, and it could change your business forever!